Now, three years later, the letter has been published and it really is a bombshell. “Our intended goal is that by December of this year  the regime of [Eritrean President] Issaias Afwerki should be shaking and ready to fall”. 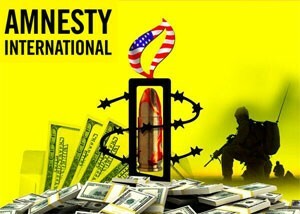 Amnesty International and HRW are major corporations, with HRW being funded for several years now to the tune of $100 million a year by George Soros who has a long history of working with the US intel community in former Soviet Union republics ie the “Rose Revolution” in Georgia. Neither organization is “democratic” or transparent. The Board of Directors of both organizations elect themselves and answer only to the handful of 1% ers that fund their enormous budgets. No one can really tell you just how much and from where these human rights corporations get their funding from. Has anyone ever seen an in depth audit of either of these outfits multi million dollar operations budgets?